I am a fashion follower but frankly speaking I am not a fashion freak. Rather I am a style freak. I believe in proper balance between style and fashion. Because fashion finds its way only if style gets infused with it. While speaking about fashion “Palazzo pants” has become very popular nowaday. Wide leg, flowing palazzo pant was a super hit style of the 70s. Recently it made a comeback with huge salutation. 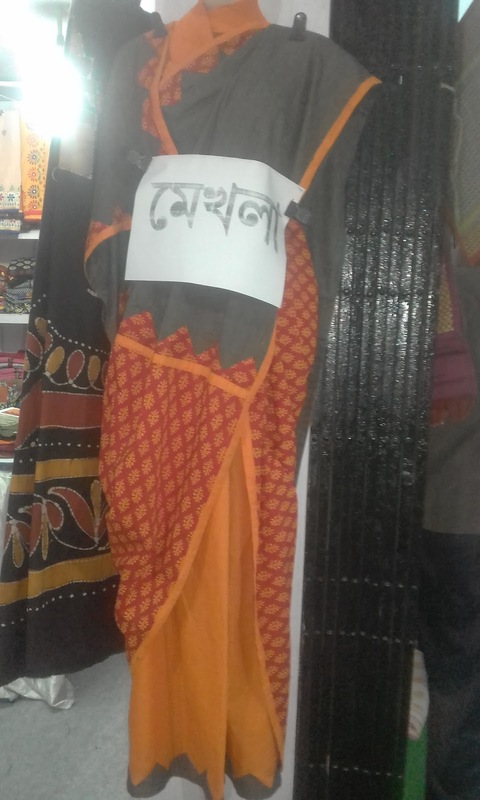 It became so popular that you will find it hanging from a street shop to a shopping mall. 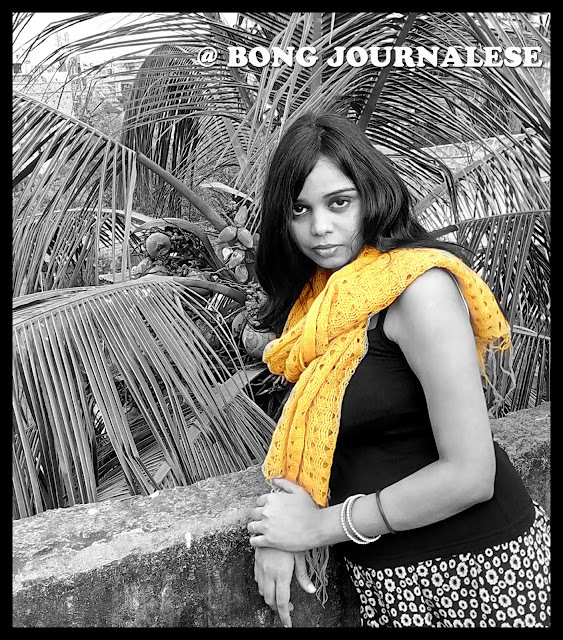 As I believe in the fusion between fashion and style so I must say Neloy Sengupta is the designer who justified it. 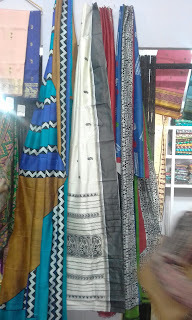 He brings a perfect blend of ethnic material with western style. 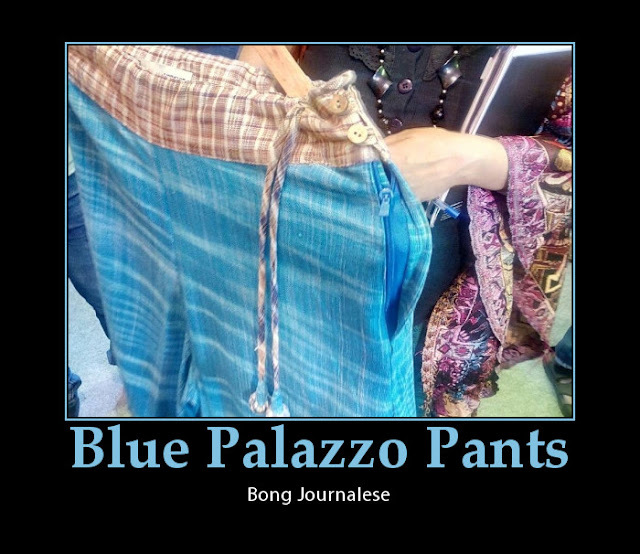 To design the palazzo the material he uses is muslin (40 counts). To get it you have to spend 1360/- bucks. To compliment with the palazzo he adds a beautiful designer top that is made of Tant which is just INR 900. 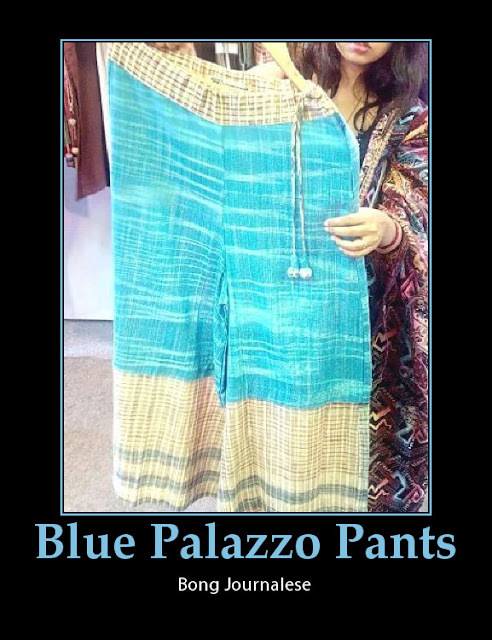 You will get this palazzo and tops in different light shades. To get this beautiful set you have to visit The store of Khadi Bhavan in Dalhousie. 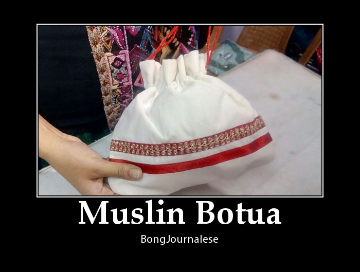 A simple white muslin batua (INR 500)with red strip from Sokhia will add modishness to this outfit. If you like my post and find it helpful then let me know through your precious comments. Only few days are left and we are standing on the threshold of 2017. It means a new hope, a new goal, lots of commitments, changing and pushing yourself to new things. Among so many changes how can we forget to give our sweet home a new look. Wooden furniture is always in fashion which redefines the sophistication of your home. 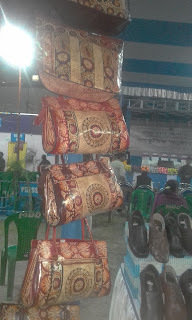 Here I got a variety of collections of Eco friendly wooden furniture from various Arts and Craft shops in West Bengal. 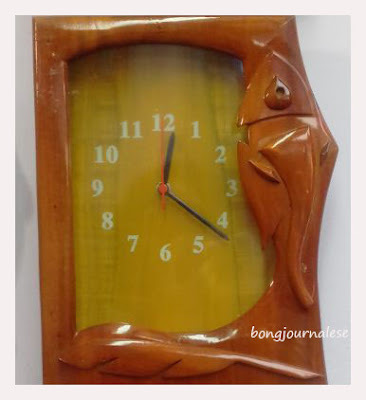 I was hunting for some unique wooden tools and low center table that could go with or can be placed alongside my bed as side table. The above tool is beautifully crafted from Eco friendly materials. 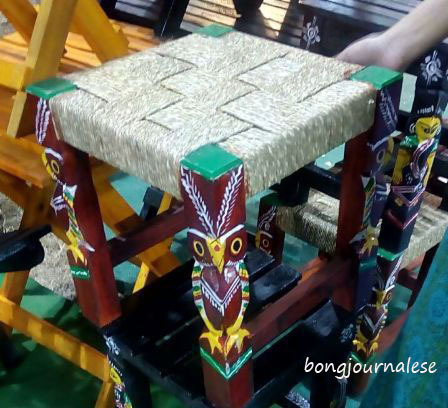 The top portion is made of intertwine strands from Babui (weaver’s bird of Bengal) nest. 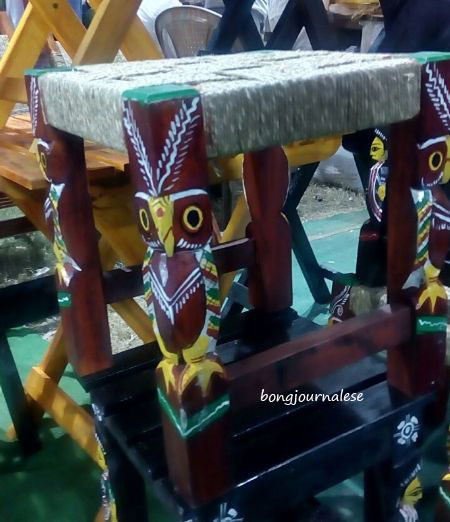 The rest are wooden carved motifs of queen or owl. 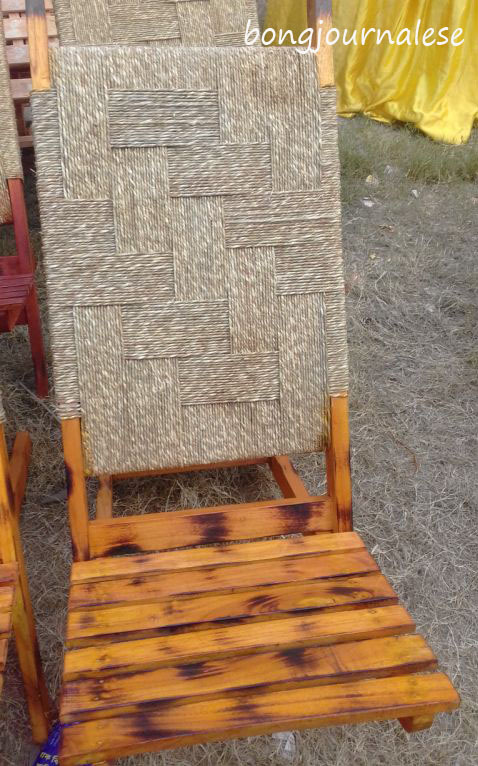 We all know about the versatility of easy chair. It takes little space and gets fit everywhere, be it a living room, bedroom, balcony or a garden. 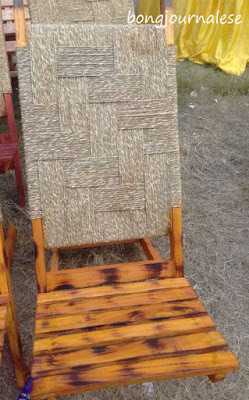 This easy chair is a made of Sonajhuri wood (Common in Bankura & Bardhaman districts) and intertwine strands from Babui (weaver’s bird) nest which cost INR 700. 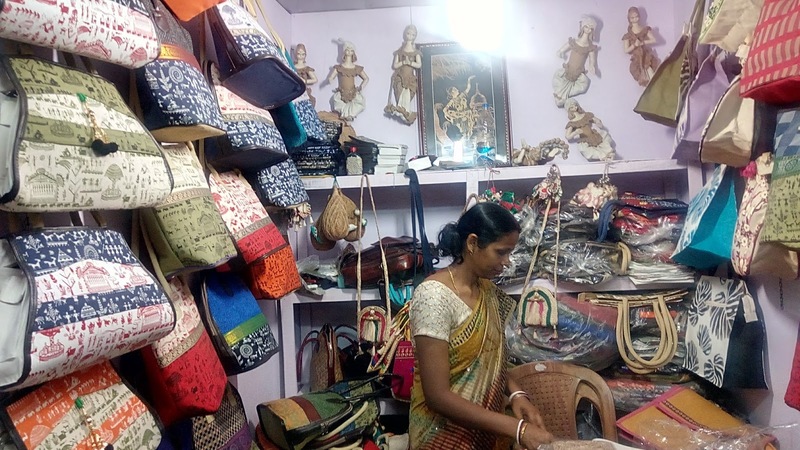 My quest for such unique home decor really get satisfied when I visit the shop (Kashtho Khodai Shilpo) at Bardhaman. While talking about home décor how can we forget about wall hanging. 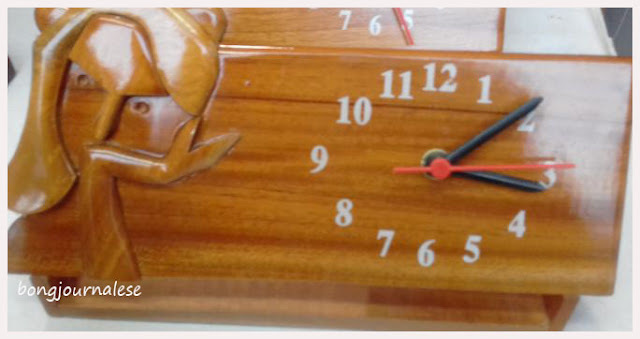 If you want to enhance the elegance of your room then you must have this wooden clock made from Mahogany. 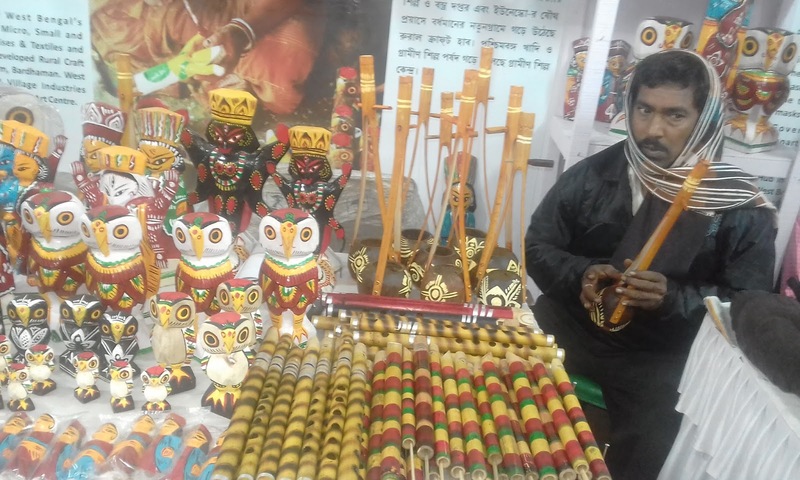 After peeping into Orbit India (An Art &Craft Institute) in North 24 Parganas I came across a wide range of Wooden Handicraft products. Price started from 300 INR. 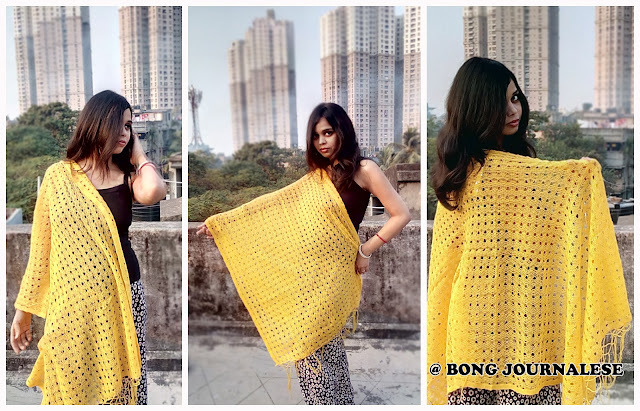 Winter in Kolkata is always cozy and offers me a little window for trying my warm wardrobe. It means pleasing weather with hot tea, cool morning and style as you wish. I never like to layer myself with loads of warm clothes. 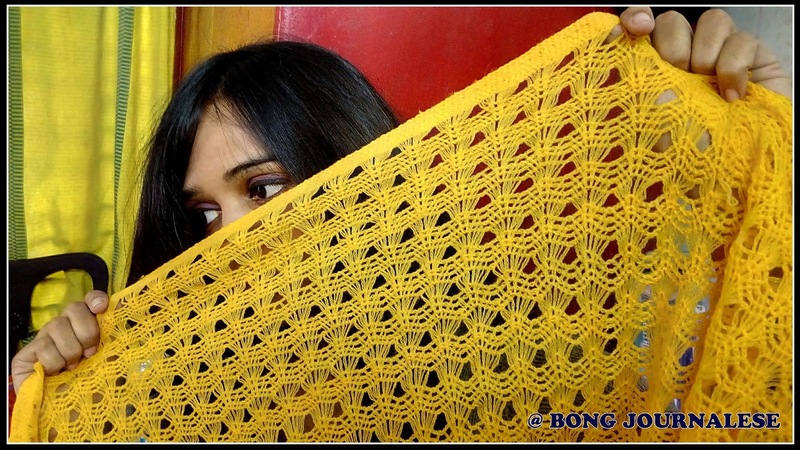 This week while strolling in Khadi Mela I fell in love with a split yarn woolen net yellow stole. 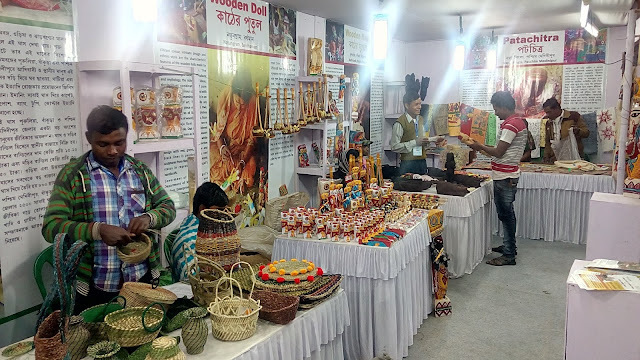 With winter making its arrival felt, Kolkata gets ready for fairs, fetes, function, exhibition and all kinds of cultural refreshment. Today Bong Journalese team visited one of the traditional fairs of Bengal and let me share our experience. West Bengal Khadi & Village Industries Board ( Under Department of M&SSE & Textiles) like each year organized the Khadi fair in Taltala EEDF Ground 432, Prince Anwar Shah Road Kolkata-45 being held between 16th Dec 2016 and 2nd Jan 2017. 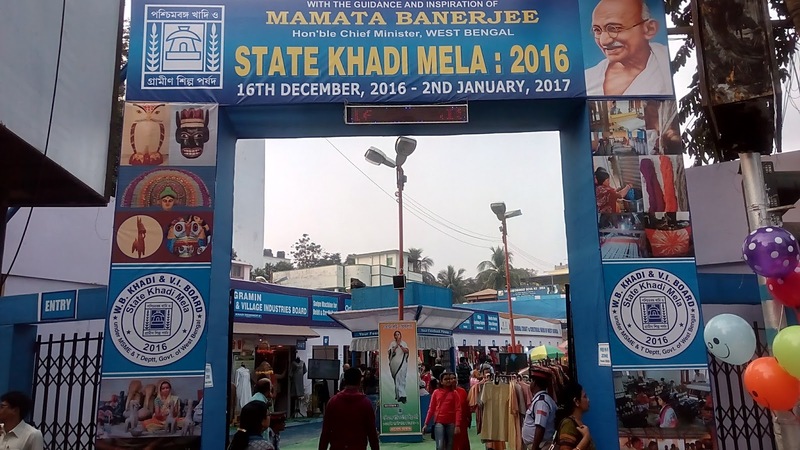 Such Khadi fairs are organized by the authority in North Bengal, Murshidabad, Barasat ( North 24 Parganas) & Purulia districts of west Bengal. There are 53 stalls represented by the artisans and weavers from the 20 districts of the state. 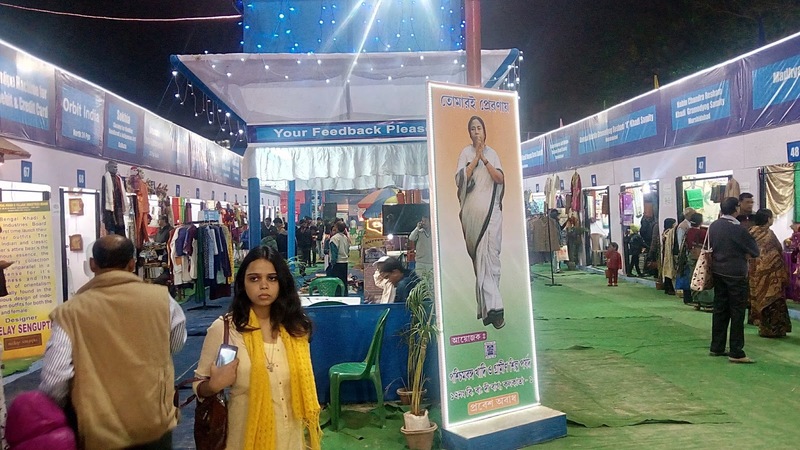 The fair had a whopping success last year with a sale of INR 1.2 Crore and they are speculating a target of around INR 2.5 Crore given the boost of improvised trendy design and variety of quality items.With the government impetus and direction of Mrs. Mamata Banerjee ( Hon'ble Chief Minister of W.B) the authority has conducted perennial training and technology up gradation drives ( Muslin Tirtha ) for the weavers and encouragement in marketing of the produce is a major achievement. 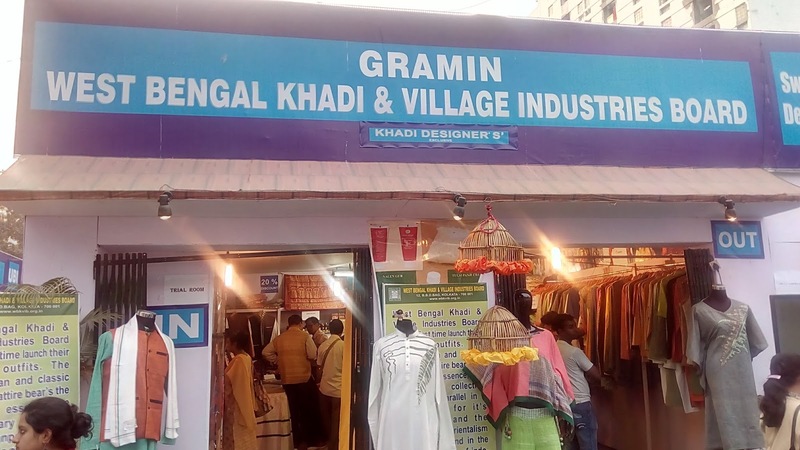 Mr. Mrityunjoy Badopadhyay ( CEO of WBKVIB ) admitted that since the inception of WBKVIB in 1959 this is probably the best phase and as we spoke to Mr.Swapan Biswas ( COO of WBKVIB) who illustrated the synergy built in the sector and also mentioned that organizations like Banglanatok.com, fashion designers, NGOs have also come forward to make the Khadi brand not only a household commodity but also a trusted item for the overseas market. The Mela had organized on 18th a fashion ramp show which was a insta-hit. There are also cultural programs in the weekend evenings to attract more visitors. 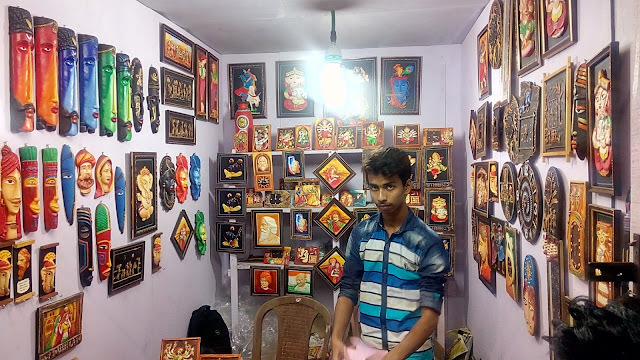 In the wake of the demonetization issue, primarily there was some doubt regarding dispensing enough cash, however, the association has ensured that each stall is equipped with card swipe machines and it shows when within the first week itself the sale has crossed 30 Lacs. 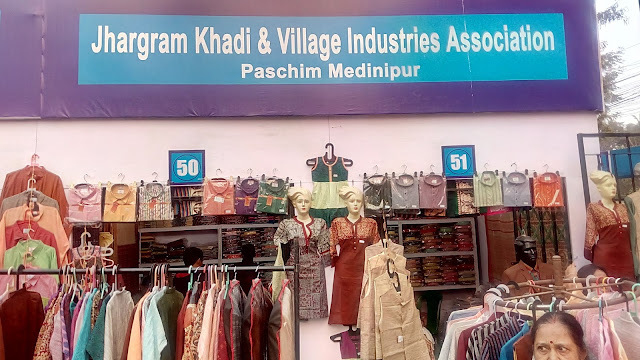 Khadi is the age old traditional practice of the weavers of India to make thread from cotton run in hand wheel and later weave the thread to produce cotton garments or Khadi. 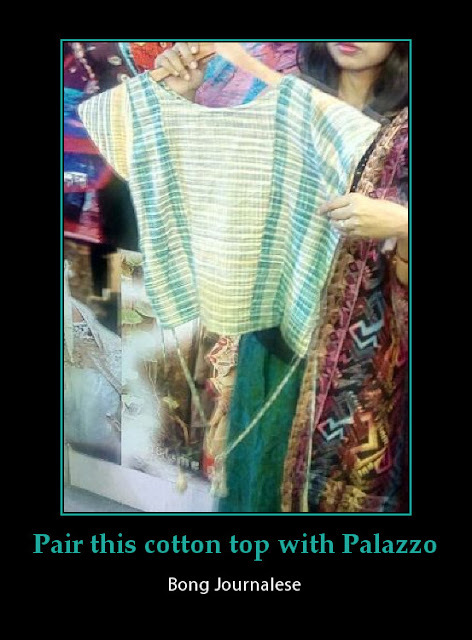 India is the front runner in introducing this textile technology to the world. Mahatma Gandhi was a staunch votary of hand woven textile and throughout his life stood for the promotion and use of Khadi material. The Muslin is the finest form of khadi ( depends on thread counts varying from 200 to 500, the greater the count the finer) which is expensive and exported for its rare quality. 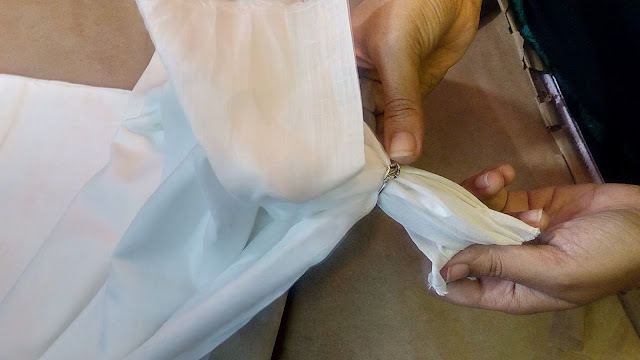 You can witness a 500 count Muslin saree can pass through a ring!! The refined cotton is known for its comfort in summer heat as well as the fine pores allow the skin to perspire. Bengal Silk is mostly produced in Murshidabad & Malda and the quality vies for the best in India.The leather products and handicraft made by the several artisan and craftsmen are truly international. 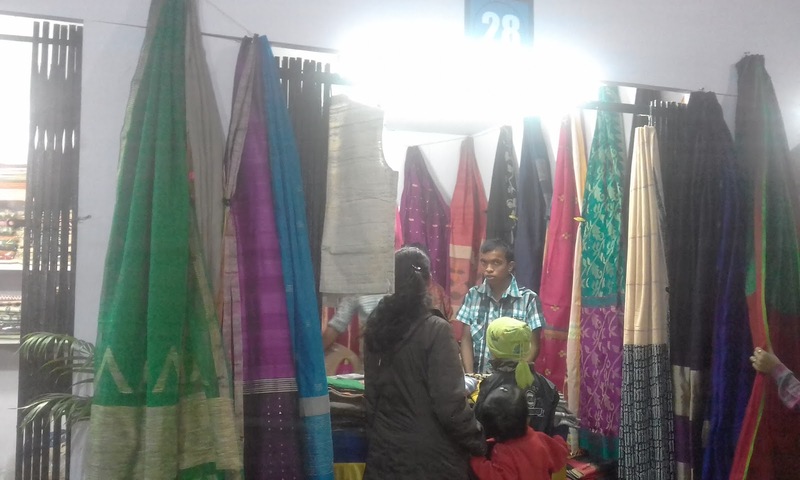 The Mela is a perfect shopping destination for buyers who seek for rare and authentic items directly from the makers and could choose from a wide range of ethnic, traditional, trendy, exotic designs from the varied parts of the state which is hard to access at any single store at other time of the year. The price is most reasonable and with festive offers the Mela is a treasure hunt!! Swara Samrat Festival Season 5, on 17 Dec 2016 was organized by Shree Rajani Trust (founded by elite Sarod maestro Pt. 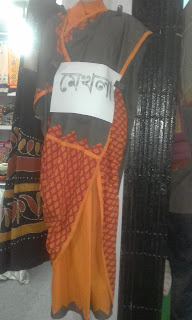 Tejendra Narayan Mazumdar) dedicated to his Guru Swara Samrat Ustad ALI AKBAR KHAN. 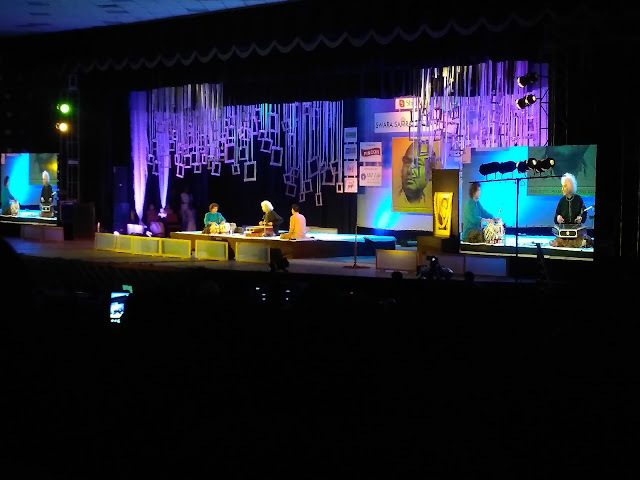 The festival gifted Kolkata with some rare moments as the world renowned Ustad Zakir Hussain (Tabla maestro), and Santoor Samrat Pandit Shivkumar Sharma gave a gala performace after 10 long years in the city. The Hindusthani Classical Duo Pandit Rajan & Sajan Mishra ( Benaras Gharana Legends) enthralled the audience with their graceful voices. Kelucharan Mahapatra disciple Sujata Mahapatra inaugurated the soiree with her majestic Odissi classical dancing portrayal of the Ramayan ( Sita Haran Episode). She was ably complemented by her troupe of singers and musicians who set the evening tone. Then Pandit. 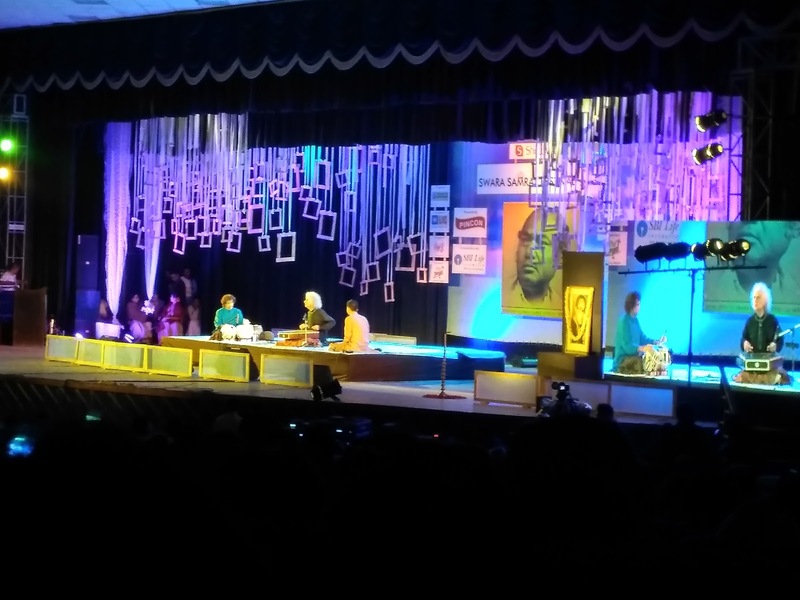 Ajoy Chakraborty ushered the Pandit brothers with anecdotal greetings that the audience savored with delight. Pandit Rajan Sajan ji were at their best flow as they started with raag "Marwa" followed by raag "Sohini". The grandeur and tradition of Benaras gharana mesmerized the audience with their eloquent improvisations and picturesque tune. 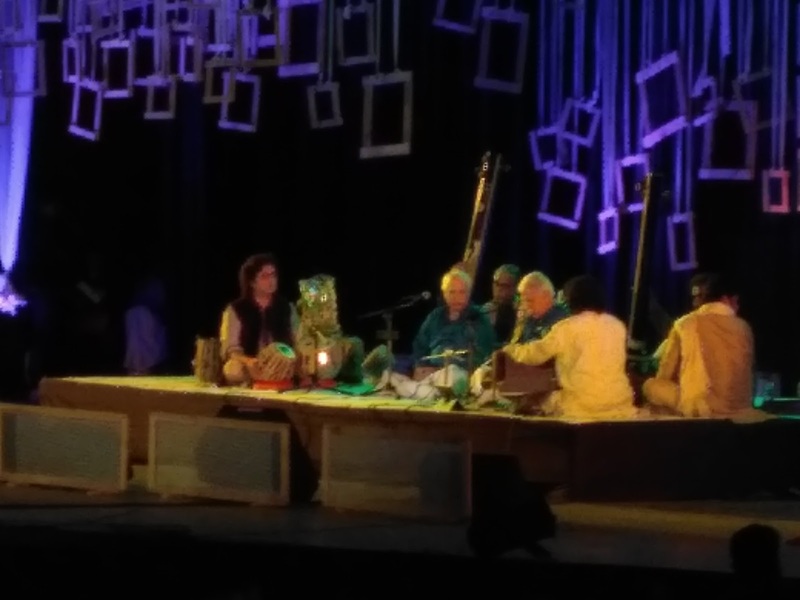 Finally the much awaited moment arrived when Kolkata's very own Tabla Legend Pandit Swapan Chaudhury felicitated the world famous musicians and with Pandit Tejendra Narayan the stage was vocal with Indian Glorious Classical Parampara ( Lineage). Pandit Shivkumar Sharma stole the audience instantly with raag Rageshree Alaap ( the perfect musical acquaintance ), then by droot ( the improvised composition in accordance with rythm or tala) and ofcourse the sawal jawab ( musical conversation) with none other than the Tabla Legend Ustad Zakir Hussain. More than one and a half hours seemed like fleeting seconds as the audience rapt in the engrossing musical journey admiring each magical moves. Ustadji as usual demonstrated his inimitable finesse starting with "Teen Taal" following with " Jhap Taal". 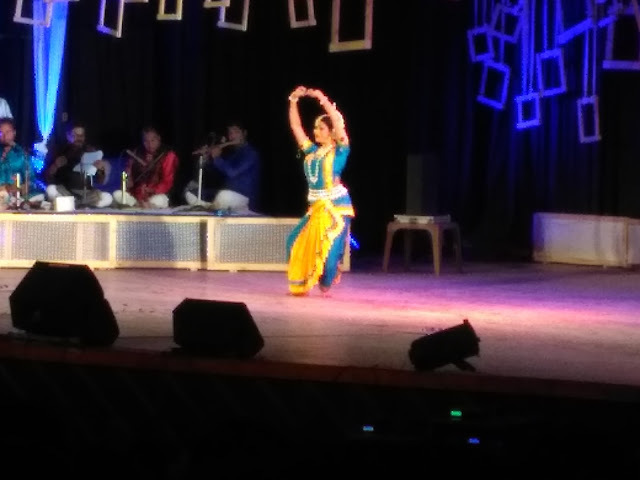 Such was the aura of the performance the audience would not settle for less and on request the duo performed the improvised dhun typical of Kashmir accompanied by delectable tabla roll. Winter is knocking at the door. The season of colors, cakes, candles and festivals. But one thing you can’t avoid in this winter is flaky skin. I have a very dry skin. So with the advent of winter my skin starts losing all its moisture and look dull. And I think this is one of the general hitches. 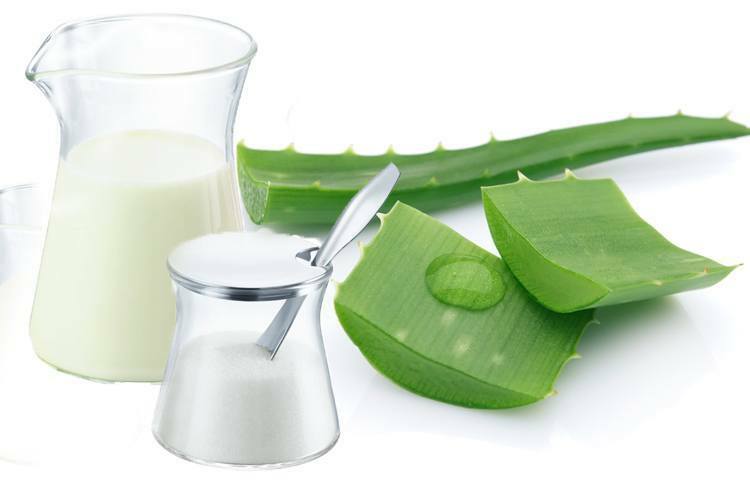 So when it comes to my skin I trust in some of the easiest home remedies which I am going to share with you. Glycerin and vitamin E capsule. This Duo really works their best for my skin. Glycerin helps to retain moisture. It keeps skin hydrated and make it supple. 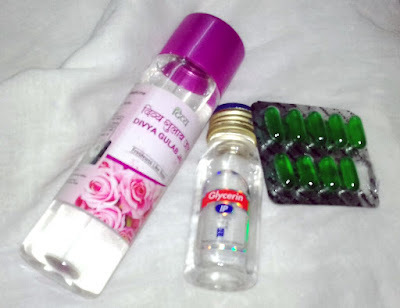 Just before going to bed take a little amount of glycerin and equal amount of vitamin E. Mix them well and apply it. I also use to apply glycerin with rose water. Rose water is an antiseptic and sooth your skin. If you have oily skin you can also use this combination. Coconut Oil. This is a miraculous moisturizer. 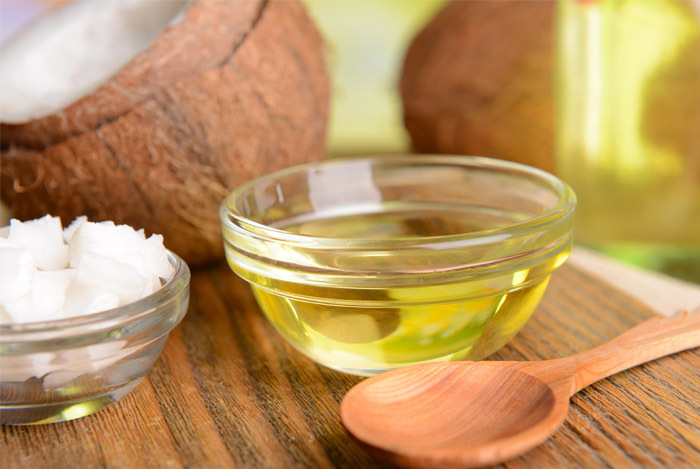 Coconut oil has anti- aging and anti- oxidant property. It is also loaded with good amount of fat. It also penetrates deep into the skin to restore moisture. Just after taking bathe massage your face and body with required amount of coconut oil. Wait for few minutes and then rub it gently with a soft towel. If you have oily skin you can massage hot coconut oil. But use only edible coconut oil. Milk and vitamin E. Vitamin E and milk work like magic on my skin. It helps dry skin to get hydrated. Milk exfoliates mature skin and also relieves skin from any kind of irritation. Generally I use to apply milk cream with little vitamin E at night so that I can leave it for the whole night. Next day just wash it with plain water. Those who have oily skin apply milk with Aloe Vera gel and leave for the whole night. Those who have sensitive skin leave it for 2 to 3 hours and then wash it off before going to bed. If you found my post useful then I would love it. Your comments are valuable to me. It will take a second to share it, like it, or to pin it. Last October I and my husband were blessed with a baby girl. Since I got pregnant I always used to think how can I give the best things that are the education, good culture etc. etc to my baby. This is one of the most common thoughts that come to each and every parent. So we are not the exception. Who don’t want to be a good parent? So are we. Few days ago I was watching a program in the television with the title “Bhalo Aachi, Bhalo Theko (being well, stay well). This is one of the popular Bengali programs where psychiatrists put their views on different aspects of life) where psychiatrist Anirudhha De put an important point regarding parenting. According to him, “before pushing your kids into the rat race make them learn how to become a good human being”. Yes, it is true, it is very important to teach the values of life before you teach anything else. Life is full of hurdles and rise and fall. All most all of us have passed through this. And every parent wants to protect their kids from the harsh struggles that they had to face. We want good schooling, good jobs, respect and other benefits that they deserve. In between these we often forget to raise our kid as a good human being. Now, the question is how to teach them moral values? 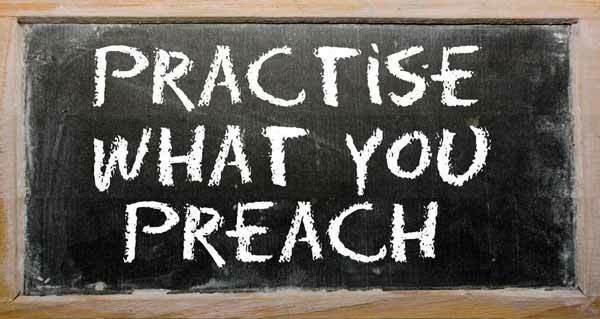 It is very important for parents to remember that “you will preach them what you will show them.” Few days ago one of my friends was very upset with her 6 years old boy. When I asked her the reason she told me that her kid has grown the habit of telling lies now and then. So she decided to consult a psychologist. Her psychologist put light on some of their follies. Like, my friend often in front of her kid gives the excuse that she is not well whenever she want to skip her office. Her husband often bribes the kid with chocolates and toys to complete his home-work. According to psychologist kids often ape what we adults do. They are quite smart to understand our daily follies. So it is our duty to behave cautiously and properly in front of our kids. 1. We should keep our promises and not fake ourselves in front of our kids. 2. The true sense of mutual respect and family bonding should rub in our kids the sense of security. 3. We act at times very selfish and when it comes to kids they are likely to ape it. So we have to gather our social and benevolent soul and our kids will treat you as their idol. 4. We should refrain from acting as bully or in the opposite treat persons on financial merits. Children are not dumb enough to understand our selfish favors. 5. Its time we behave with our kids as grownups when it comes to decisions that we mostly hide like our financial status and try to satisfy their wantons and whims. They should know that we should not compromise for anything even though parents would love to sacrifice for their kids!